Selective new volumes sponsored by the International African Institute published with Cambridge University Press. Heritage work has had a uniquely wide currency in Africa's politics. Secure within the pages of books, encoded in legal statutes, encased in glass display cases and enacted in the panoply of court ritual, the artefacts produced by the heritage domain have become a resource for government administration, a library for traditionalists and a marketable source of value for cultural entrepreneurs. The Politics of Heritage in Africa draws together disparate fields of study - history, archaeology, linguistics, the performing arts and cinema - to show how the lifeways of the past were made into capital, a store of authentic knowledge that political and cultural entrepreneurs could draw from. 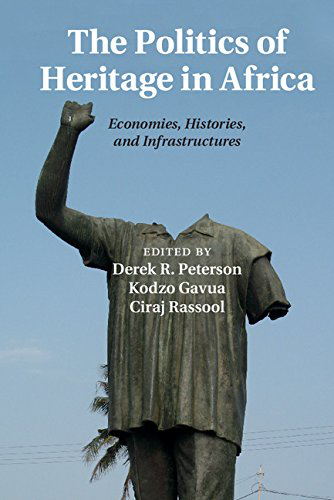 This book shows African heritage to be a mode of political organisation, a means by which the relics of the past are shored up, reconstructed and revalued as commodities, as tradition, as morality or as patrimony. ISBN: 9781107094857, c.320pp, February 2015. 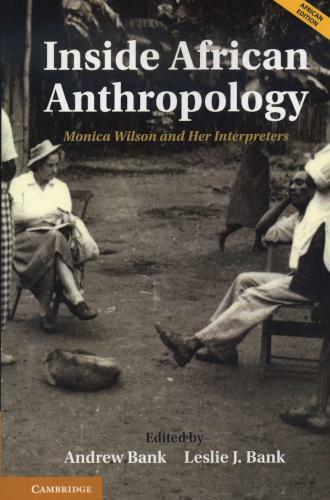 This book offers rare insights into the making of southern African anthropology through an analysis of the life and work of Monica Hunter Wilson, South Africa’s most distinguished anthropologist of the 20th century. Drawing on a massive personal archive, this biography of Hunter Wilson's life and work explores her main fieldwork and intellectual projects in southern Africa between the 1920s and the 1960s. The main focus of the book is on her fieldwork projects and the role of her interpreters, associates and collaborators in the production of anthropological knowledge.